The Billy Walton Band website is newjerseyrockband.com, conjuring up images of tacky bar bands wearing their Springsteen influence like a tattered denim vest. The URL is unnecessarily self-deprecating as the Billy Walton Band is actually a versatile, horn-propelled group and Soul of a Man, their latest album, shows a band capable of executing different styles without sounding derivative. Walton has an interesting voice, not unlike an upbeat, more melodic Tom Waits. It works extremely well over his band, which includes a sax and trombone, but that plays like a much larger big band horn section. The few gaps in the sounds are filled in by keyboard, with Walton’s voice and screaming guitar soar over the top of it all. Soul of a Man goes in a number of different directions stylistically, often within the same song. “I Don’t Know” starts off as Brian Setzer Orchestra big band jump blues before morphing into hard rock for the chorus. “Let Go” is another interesting track, a fast-paced funk with talk-box guitar that’s pure Jersey glam on the chorus. The album’s highlight is the fantastic cover of Creedence Clearwater Revival’s “Green River.” Where the original is simple and spartan, the Billy Walton Band gives their version grandeur and majesty, with the horns propelling the song into an incendiary guitar solo that eventually submits to a fantastic organ break, only to see the horns rejoin the band at the end of it all. The track represents everything great about the band. 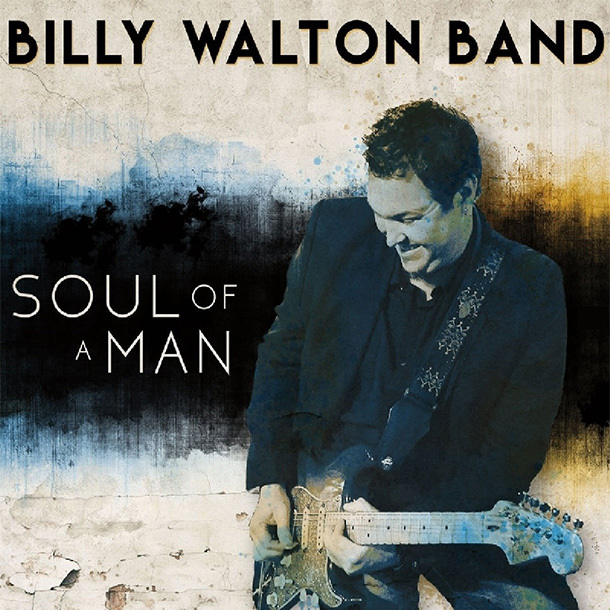 The Billy Walton Band is a New Jersey band and on Soul of a Man, they pay tribute to different Jersey styles, but they have crafted something that goes beyond beach music, soul, and rhythm and blues, and instead have created a hybrid sound that stands up to repeated listens.